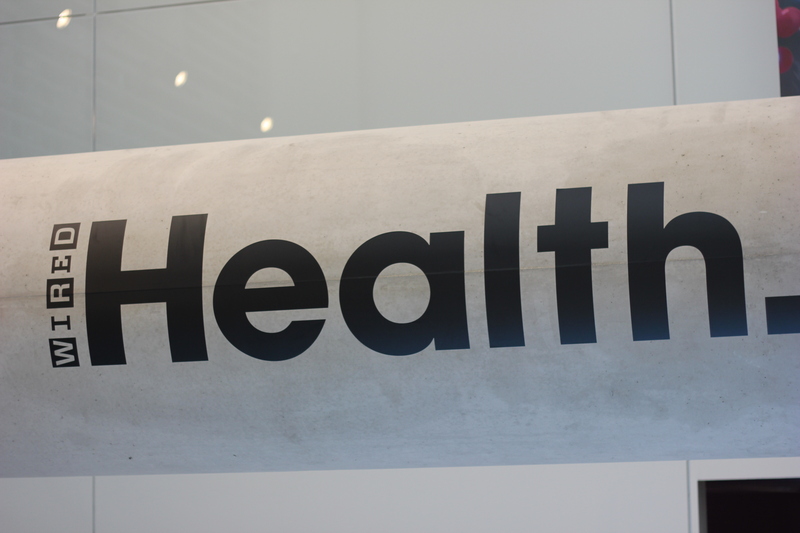 WIRED Health is an annual event, held at the Francis Crick institute next to St Pancras station. This year they were showcasing some of the latest medtech innovations and products including a headset, Modius, that helps you lose weight, an ophthalmoscope, Peek, that you can clip onto any phone camera, and a sensor packed piece of femtech, Elvie, to help strengthen your pelvic floor. 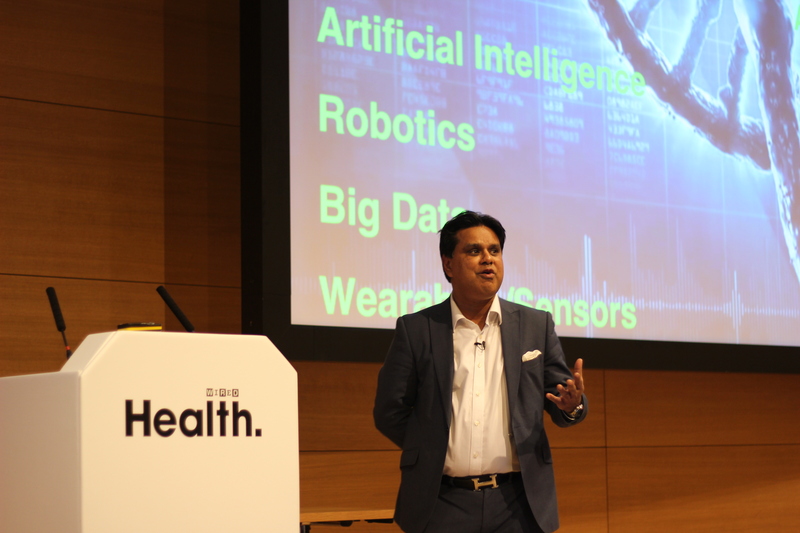 The day was packed with inspirational speakers moving from how we can stop ageing to how AI is opening up opportunities in healthcare. This conference boasted a wide range of speakers from across the world covering innovation in medicine as its theme. These innovative ideas at the same conference encourage collaboration and sharing of ideas between different fields allowing innovation to spread from molecular biology to machine learning to VR to surgery. Bruce Levine from the University of Pennsylvania kicked off the day with a talk on the promising cancer cell therapies he is working in Philadelphia. This therapy uses a patient’s own immune cells (T cells) which are modified and then reintroduced to the patient targeting the cancer cells. In lymphoma and leukaemia this is easier to target than in solid tumours, however Bruce Levine and his lab are working on ways to make these CAR-T treatments effective for solid tumours. Sarah Teichmann from the Wellcome Trust Sanger Institute, talked about the Human Cell Atlas she and her team are working on. They are creating a comprehensive reference map of all 37.2 trillion cells in the human body. Working with collaborators across the world in 44 countries they are all focusing on different areas of cellular research with the Human Cell Atlas project combining all the research into a single atlas. This project as well as making a reference map of healthy human tissues is also looking at pathological states human cells can develop into. How to stop ageing? is a question many of us want to know. Nir Bazailai from the Albert Einstein College of Medicine is challenging the idea that we could all be increasing our life expectancies by 35 years from 80 to a theoretical life expectancy of 115. Bazailai has been studying centenarians to see why some families are able to live longer than others. His latest project is the TAME (Targeting Ageing with MEtformin) trial which attempts to use known drugs to reduce the rate of ageing. Dorcas Makgato, Minister of Health and Wellness in Botswana gave an inspirational talk about her vision and plans for healthcare in Botswana. She instigated free retroviral treatment to Botswana’s HIV patients. This epidemic of HIV affects a quarter of the population of Botswana, however now almost all those who need the treatment are receiving it. 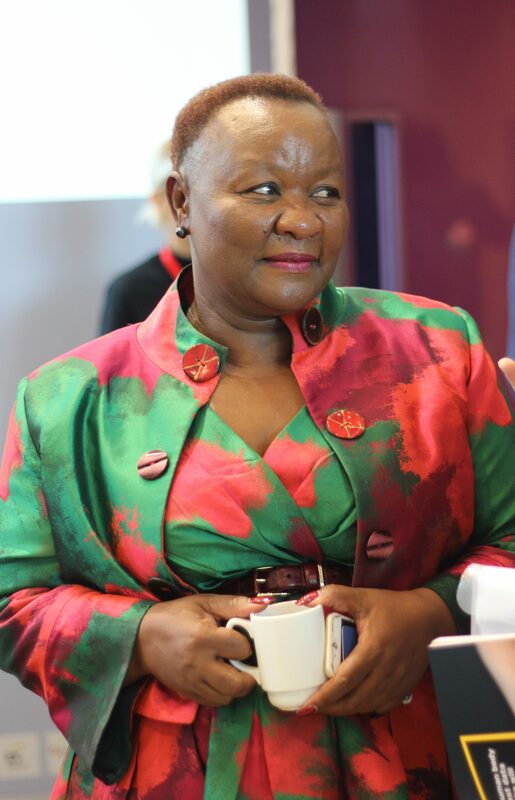 Ms Makgato also talked about her other role as wellness minister in foreseeing future threats to the health of her country and preempting them. Rolling out Peek Vision to help diagnose children with eye problems is something she is planning for the future. Professor Mary Herbert a specialist in fertility and IVF at the Institute of Genetic Medicine in the University of Newcastle, spoke about the future of fertility and disease prevention. This ethically controversial topic of modifying and screening embryos is her main area of research to see how reproductive technologies can help us to prevent the spread of genetic disease between generations. Lucy Collinson is head of the electron microscopy lab at the Francis Crick Institute, managing some of the world’s most powerful Titan Krios cryo transition electron microscopes (TEM). These huge microscopes are 2.5 storeys high and cost millions of pounds, collecting petabytes of data every year. Cryo electron microscopy is changing the way we can visualise proteins with angstrom level detail seen and the structure of exceptionally detailed virus capsules is often determined in this way. In her talk, Lucy Collinson spoke about the challenges of manual image analysis requiring thousands of hours of highly trained researchers time to process. Now with high throughput imaging, more data than ever is being produced, making this task impossible. Machine learning is progressing rapidly, however without a big enough training dataset, the automation will still remain a future prospect. To produce this dataset, Lucy and her team started the ‘Etch a cell’ project, using citizen science to help speed up the expert’s analyses. Andrew Steele is a computational biologist, who took on a new project to see what we can learn from healthcare data and the insights we can’t spot. He created an algorithm which trained a computer to diagnose coronary heart disease from over 100,000 patient records. With a high bar set for himself he was disappointed by the fact his computer was only slightly better at diagnosing coronary heart disease than expert doctors. In talking to Andrew after his talk, he warned me that although the computer found a lot of new insights, the data in many of the records was only for a limited period of time so it wasn’t always a full set of data, so there may still be more insights to be gleaned. Femtech is a rapidly growing area of medtech, and Tania Boler, CEO of Elvie, is leading the pack with her pelvic floor strengthening smart trainer. Pelvic floor muscles are important in holding many of the abdominal organs in place, and weakness can result in incontinence with 1 in 3 women suffering from pelvic floor problems. Kegel exercises involve contracting pelvic floor muscles in order to strengthen them. This is where the Elvie trainer comes in, with smart sensors which connect to your smartphone, Elvie makes these exercises competitive, motivating patients to strengthen these muscles. WIRED magazine’s features director and curator of WIRED Health, João Medeiros interviewed the neuroscientist and electronics engineer Tej Tadi, founder and CEO of MindMaze, about his latest virtual reality (VR) technology, Mind Motion. Mind Motion is a virtual reality based rehabilitation system produced by Mind Maze. Mind Maze was Switzerland’s first Unicorn startup (startup worth >$1 billion), and is in a huge growth industry with sales of VR headsets outstripping most growth expectations in both 2016 and 2017. Mind Motion works to help those who have suffered from strokes and those who require neuro-rehabilitation. It works using a game to encourage users to beat their previous scores and pushing them to complete their rehabilitation using fun and interacting gaming. Evelo Biosciences, founded by Simba Gill gave us an insight into how our gut works, but how poorly we treat it when we throw drugs at it. We know very little about how our bodies interact with the complex microbiome within them. Our bodies are colonised with bacteria and depending on what these are this can affect our mood, our behaviour, our immune systems and a lot more. 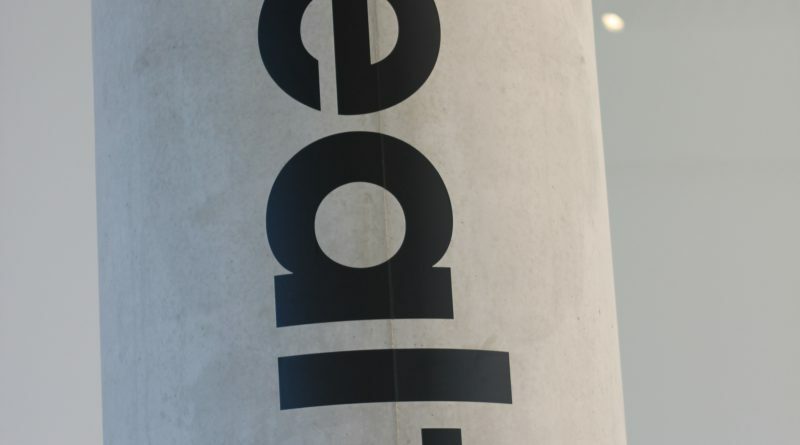 Evelo Biosciences are investigating how modulating and adapting these microbial environments changes our health, harnessing the power of microorganisms. 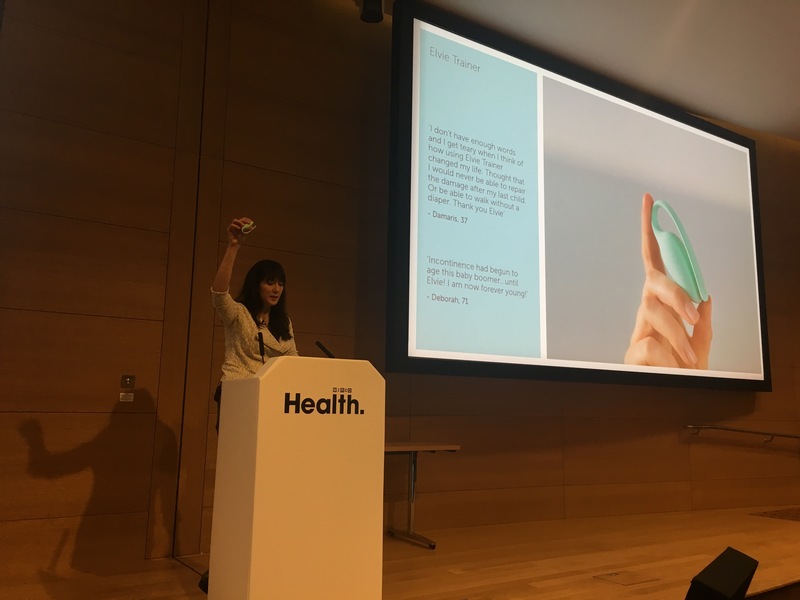 Claire Novorol, Chief Medical Officer (CMO) and co-founder of Ada health, gave us a glimpse of the future of home diagnosis. Her diagnostic app Ada collects symptoms from patients and then asks them a sequence of questions with simple answers which can be selected. It will then give them a list of probable diagnoses for those symptoms which can be printed and brought to the doctor. The team at ada have found that doctors find these helpful as it allows them to address specific concerns or worries the patient might have. The app is used every 4 seconds by a patient, and has now been developed to be used with Amazon’s Alexa. This technology may help us face the need in the NHS for more doctors by helping alleviate pressure on primary care. Shafi Ahmed is passionate educator and innovator in healthcare. As co-founder and CMO at Medical Realities, he has been pioneering the use of virtual reality and augmented reality in surgery and medical teaching. Medical Realities helps teach medical students surgery and anatomy in a virtual reality environment, both through 3D simulations and watching surgery recorded with 360° cameras. In 2016, Shafi, an oncologist performed the first 360° operation with over 55,000 people watching it live. Jackie Hunter, CEO of BenevolentBio told us about the AI shortcut to drug discovery. Currently it costs over $2 billion to get a drug to market, however, the team at BenevolentBio are using AI and known interactions of drugs to form a complex network. They plan to identify future drugs from the existing library of drug compounds, by identifying possible targets their algorithm has flagged might exist. Furthermore this opens a future for individual drug interaction maps for a personalised medicine approach with more data being fed into the network as medical tests such as genetic sequencing are introduced. Robin Carhart-Harris of Imperial College London is head of the psychedelic research group. He spoke about our mental health crisis in the UK, and how psychedelic drugs offer a new avenue of potential therapies. His main area of expertise is in psilocybin therapy, which uses an active agent found in ‘magic mushrooms’. Romain Pizzi is perhaps best known for his brain surgery on Champa the bear. 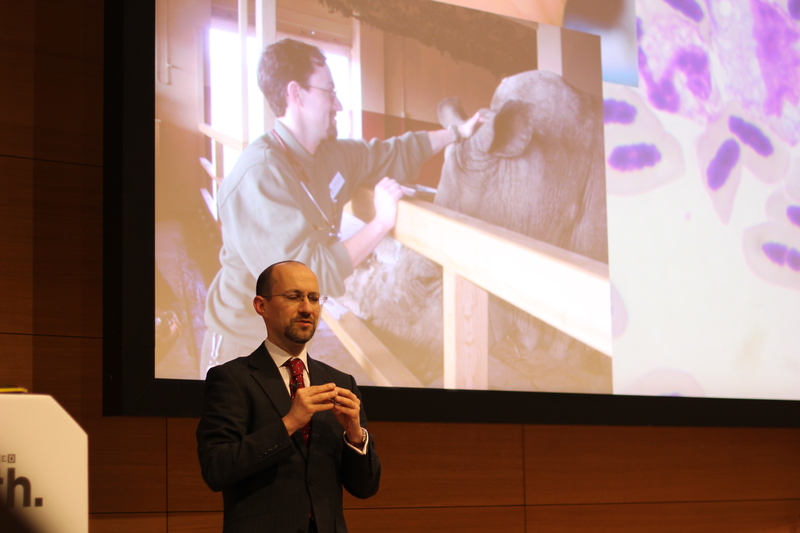 As a veterinary surgeon he has had the opportunity to study the kinds of diseases that affect animals and he noticed that animals don’t tend to be affected by ‘diseases of excess’ which we are facing due to our processed diets and unnatural lifestyles. In his refreshing talk he spoke about losing a snail species to extinction to what happens when a wild animal wakes up during surgery. My favourite quote of the day was ‘When you do surgery on a Zebra, you’ve got to make sure the stripes line up, otherwise you have to get them a new passport’. Sea Hero Quest was created by Michael Hornberger, who talked about his new smartphone game that became far more popular than he thought it would ever be. His 3.7 million users ranged from 18-95-year-olds! Sea Hero Quest is a game that is designed to try to diagnose dementia through the way its users play. It gathers large amounts of data on the users, which might detect patterns in players to highlight early warning signs of dementia. This could allow preemptive treatments which might mean the drugs which are currently ineffective might be effective in younger patients at reducing the incidence or severity of dementia. Jess Mills, daughter of Baroness Tessa Jowell and Jack Kreindler gave a moving reflection from a more patient-based perspective of cancer and more specifically glioblastoma. Tessa Jowell has been suffering from glioblastoma since May 2017, and realised that some people have unfair advantages of treatment compared to others, and treatment should be universal. Together the three of them have set up ACT (Adaptive Collaborative Treatments) which started with a debate in the House of Lords. Jack Kreindler described how genetic sequencing of tumours in order to create targeted therapies is one of the most promising treatments for glioblastoma and it has been tested and been successful, however it is also very expensive. To close the day, competing for a spot to speak on the main stage were eight startups presenting on the EY WIRED access stage, from telehealth, to games to help with grief, to data platforms, the competition was high. 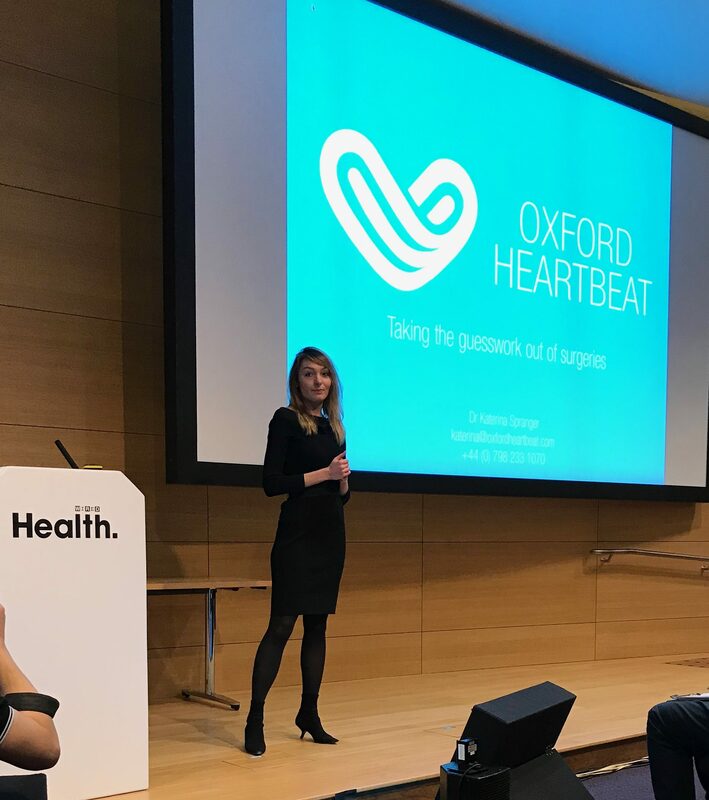 Oxford Heartbeat triumphed, winning over the panel of judges and allowing Katerina Spranger to present their product which maps arteries in 3D, and simulating stent positioning allowing surgeons to better select the location, type, size and length of stent to put into a vessel without putting the patient at risk by using trial and error. This software has the potential to aid vascular surgeons to reduce cost, decrease complications and further surgical advancement.